Zenko Akebono 9 Akebono Click here! HAPI Mini 8 Akebono (D) E F A Bb D E F or C Major Click here! Guda Freezbee 8 Custom Scale On Request Click here! Idiopan Domina 12-Inch 8 C major scale (can be tuned to) Click here! Neo 9 9 Custom Scale Click here! Crystal Energy 10” 9 C major Click here! Single Vibedrum Aqua 9 E minor Pentatonic Click here! 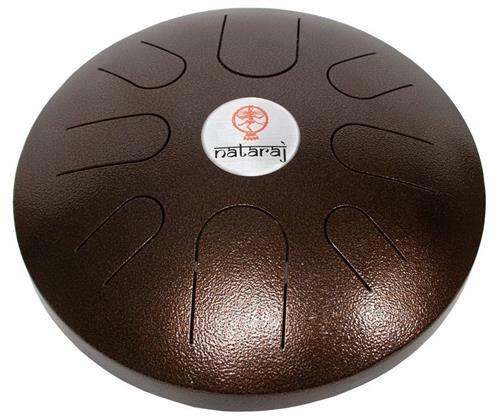 Dobani 12-Inch 8 Tanpura Tuning Click here! This is a steel tongue drum (also referred to as a hank drum or tank drum) which has been designed and built by Metals Sounds. The instrument is a result of a rigorous research and development program led by a team from Metal Sounds in coordination with a number of scientists and professionals in the metal industry. The raw material used to make the instrument, the cutting of the blades, assembly of the product and the finish have all been finely crafted and this tongue drum spreads its sound in very smooth waves. The perfect tuning of this percussion instrument results in beautiful harmonics and can be played with mallets or by hand. The note in the centre omits a deep bass sound which is used as a pivot. It is tuned to a pentatonic mode scale, one of the best scales in musical therapy and relaxation. This instrument can be played while standing or on a stand that is collapsible and adjustable, designed specifically for the instrument. The main difference between a steel tongue drum and a handpan is the sensitivity in playing. It can more difficult to produce a clear sound with just fingers and so mallets are provided to combat this. 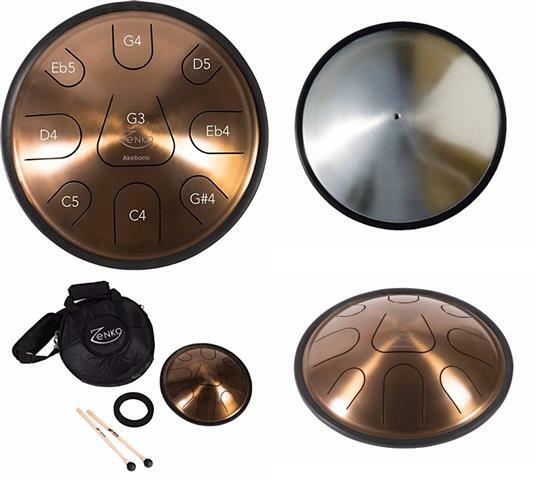 Despite its tiny size it rings out clear and true and has a great sound and the reasonable price means it’s ideal for someone wanting to explore whether steel handpan drumming is for them before committing to a thousand dollar purchase. Dimensions: 8″ (20.5 cm) wide by 5.5″ (13.97 cm) high. Weight: 3.4 lbs (1.54 kg). The Freezbee is a unique handmade steel tongue drum that is loud and responds well to being played by hand (unusual for most steel tongue drums). The Freezbee is built out of stainless steel and decorated by hand. It’s percussive sound and number of overtones makes it ideal for outdoor gigs. Smaller than a handpan, it offers more portability, sustained resonance, a beautiful design and mallets for playing. The Freezbee is an ideal instrument for someone who wants to keep their instrument in a living area for quick access, and because of its design, it looks great, can be easily stored and will complement any area it’s in. Made from an especially hard steel, the Guda Freezbee now holds its tuning for longer and is more durable and was designed to sound more percussive than a typical steel tongue drum. This is a very beautiful, well-constructed and extremely sturdy musical instrument. When played using the mallets it has a soothing and resonant sound. This is a steel tongue drum that arrives already tuned to C Major pentatonic scale and each drum can be tuned to a specific scale on request. Though it sounds great with mallets, it needs amplification to be played by hand. The Idiopan has a warmer sound than previous models and as a bonus also includes free shipping. For a mid-range steel tongue drum this is a good choice out of the selection. 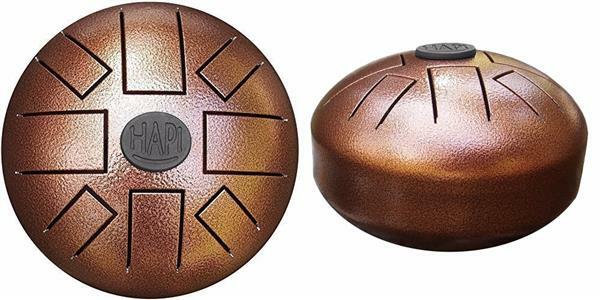 This uniquely handmade tongue drum was designed to sound good played with mallets or by hand. 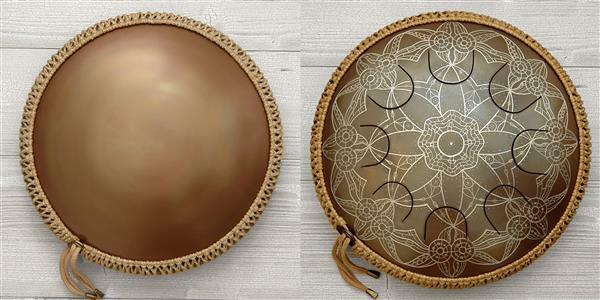 As the makers state, the motivation behind making this steel tongue drum compact is so that the size is more comfortable when being played on your lap while keeping all the benefits of full sized models. Its convex shape positively affects the sound and gives it a greater amount of colour and volume in each note. Made out of stainless steel, it is thicker than the previous model, ensuring an amazing clarity of sound. The Neo 9 can be tuned to from as low as D3 right up to E5, and this means the possibilties for customisable scales are extended to most keys. Bright top notes and crisp bass notes make this model a clear winner, and the higher price for this instrument is reflected in the higher quality sound you get. Light-weight, brightly coloured, wear and tear resistant, the 10” Steel Tongue Drum is a solidly made entry level steel tongue drum. The Single Vibedrum gives the buyer a good value for their money because the makers have plated it with 100% zinc on the interior and exterior in order to protect it against elements. It comes with specially made mallets, a soft fleece liner bag and a heavy duty bag for travel. Made in Arizona, the resonating chamber has been designed for improved harmonics and ongoing resonance long after the note has been played. For such a brightly coloured glittering instrument, the tone is warm and mature and it’s easy to produce clear sounds with either hands or mallets. The tropical sparkling metallic coating is also more environmentally friendly than etching with acid or spraying with paints that contain VOC’s. This means that not only are you recycling a used butane tank, but the production process of the new instrument is not harmful to the planet. The Dobani 12 inch tongue drum with a Bhopali tuning is a beautiful instrument. Bhopali is also referred to as Bhoop and is a scale derived from a classical raga of Hindustan. This instrument’s 5 note scale does an amazing job of creating a really pensive and meditational mood. The drum comes with mallets and a travel bag. The Dobani comes with free shipping, and despite being the second cheapest option for steel tongue drums it is the best value for money. An antique bronze powder coating gives it a professional finish and out of all the drums, this one has the most amount left in stock. 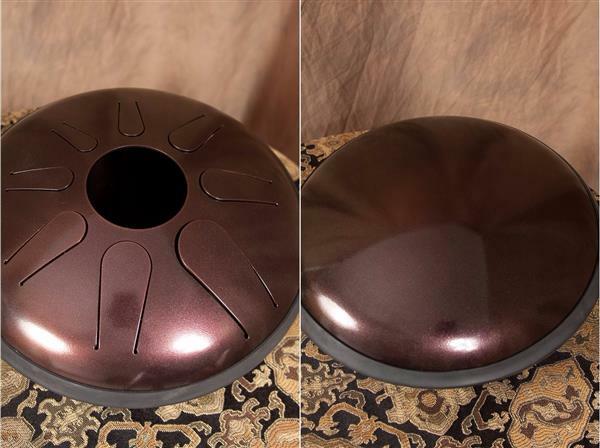 The sound, look and price for this steel tongue drum are great.